As an impressionist, you’re always worried when a celebrity or public figure you impersonate disappears, changes jobs or leaves the country! 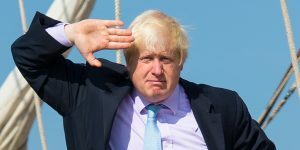 When Boris Johnson’s second term as London Mayor came to an end, I wondered what would happen to him and if he would disappear into the political wilderness! Thankfully that didn’t happen and he came back stronger, as Foreign Secretary! He’s without the gift that keeps on giving and I’m contacted regularly by people and companies requesting a Boris Johnson impression! Boris’ fame rose even higher after leaving the Mayoral office in 2016 as he went on to lead the Brexit campaign to leave Europe, he’s never off our television screens! After his victory in the referendum, our newly elected Prime Minister Theresa May made him Foreign Secretary. Boris was back! Boris Johnson is one of the most instantly recognisable figures in Britain and has a very distinctive voice. He was schooled in Eton and Oxford and has what could be described as a well-spoken, upper class voice. His tone is rich and deep and in order to impersonate Boris, you have to talk at varying speeds, pausing to contemplate, while accentuating any random word in your sentence! He has an interesting was of saying his S’s which is rather interesting and I’ve taken time to study the way his mouth and teeth land when he makes his S sounds. Here’s my Boris Johnson impersonation. I chose two of his funniest quotes – he’s always good value! I recently tested out how realistic my impression was by prank-calling a hairdresser, pretending to be Boris! They were totally taken in and the results were hilarious. See for yourself in this video I made of the call. If you need a Boris Johnson impression or soundalike, please do let me know and I’ll be happy to help you.